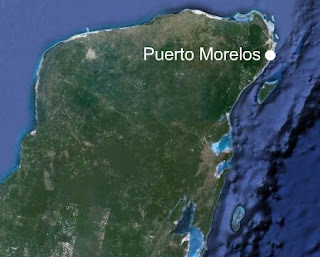 Puerto Morelos, Mexico is located just 15 minutes south of the Cancun Airport. It is just 25 minutes from the Cancun Hotel Zone to its north and from the exciting town of Playa del Carmen to its south. The Mayan Ruin sites of Tulum (1 hour), Coba (1.5 hours), Chichen Itza (2 hours), and Ek Balam (1.5 hours) can be easily viewed on a day trip. Download the Las Casitas Info Packet By Clicking Here.